My life has been shaped by my struggles, but not defined by them. I know what it’s like to grow up and overcome adversity, and nothing inspires me more than watching other children do the same. 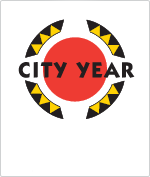 My passion project, City Year, gives at-risk children the opportunities they need to succeed. As a board member, I have watched firsthand the difference City Year makes in their lives. Join me, and City Year, to make a difference in the lives of at-risk children.